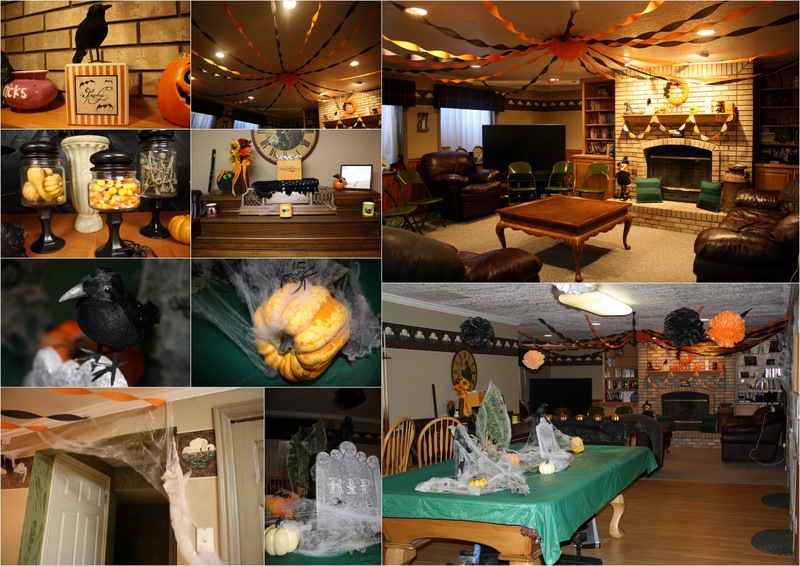 We had our annual Halloween party on Saturday the 29th this year. It's was sort of a 50's theme. I have so much fun planning this every year. I start in August! I LOVE Halloween! Christmas is still my favorite holiday, but Halloween is very close behind it! It is always so fun to have our families come and hang out and I'm glad they come, even if just to humor me :) We missed a bunch of people this year, hopefully they can come next time! 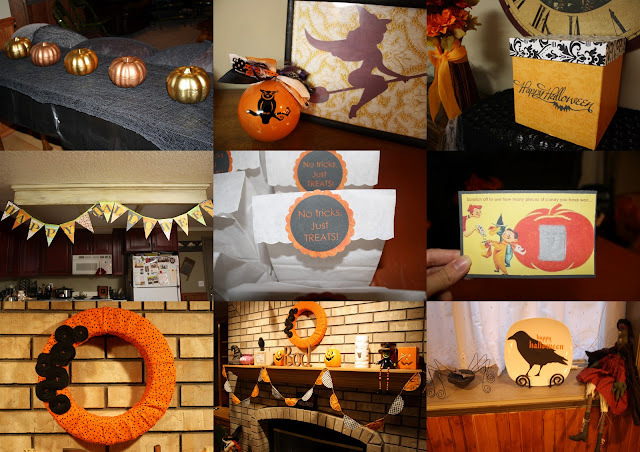 I had a lot of fun making Halloween crafts this year. This picture shows some of the crafts/decorations I made. I made scratch off tickets for everyone to see how much extra candy they won for their treat bags. I was able to find a bunch of "vintage" candy, so it was cool to have that. Of course we had some yummy treats. We had some chicken pot pie dinner, salad, fruits and veggies, popcorn, and lots of sweets! 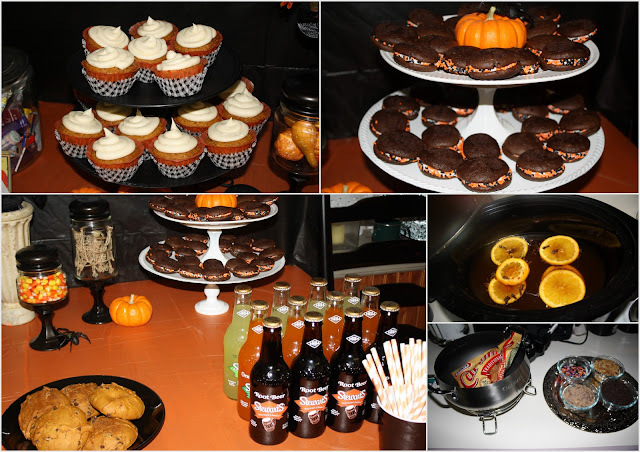 There were cake balls made by Jeannine, apple cider, mini caramel apples, whoopie pies, and cupcakes. The cupcakes were my favorite! They were browned butter pumpkin cake with salted caramel frosting. 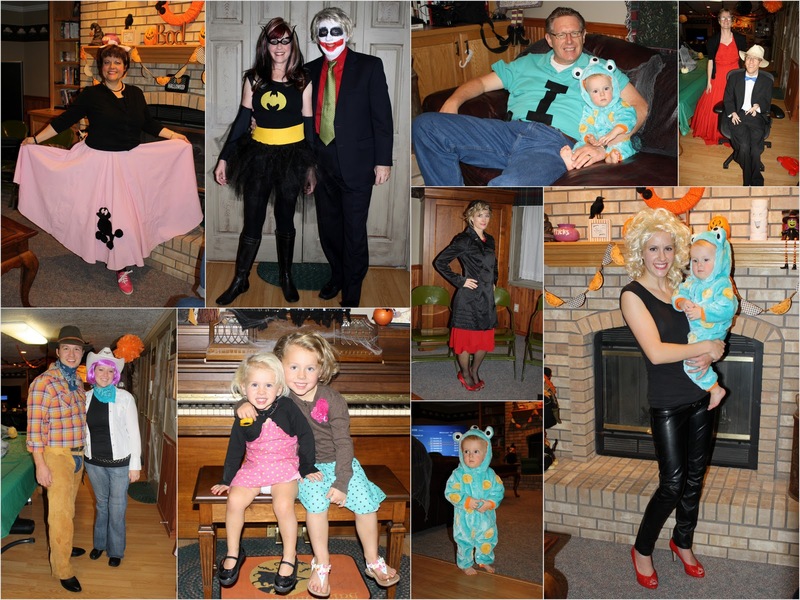 And we couldn't have a Halloween party without some awesome costumes! Since the party was 1950's themed, some people followed that theme, but you certainly didn't have to. Chad and Jeannine went all out for their costumes as Batwoman and the Joker and I loved it! Ryder was pretty freaked out by both of them, but especially Grandpa! If you are wondering what my dad was dressed as, he was a "black eye" haha! I love it, such cute decorations and the food looks so yummy! You are an amazing party planner!